2010: Monument at Petrova Gorao to the uprising of the people of Kordun and Banija. Wikicommons/ Sandir Bordas. All rights reserved. Imagine, not knowing anything about socialist Yugoslavia, suddenly waking up in the mountains of Bosnia and Herzegovina to encounter monumental sculptures like those impressive and gigantic monuments in Sutjeska or Petrova Gora – you might be prompted to ascribe it to some alien civilisation. This is in fact what happened when the Belgian photographer Jan Kempenaers for the first time exhibited photographs of Yugoslav socialist monuments at the Breese-Little gallery in London in 2013. The Guardian soon published an article with the title “ The second world war memorials that look like alien art”, and very soon the Internet was full of images of socialist architecture and sculpture from all around ex-Yugoslavia that was regularly described as “alien”. 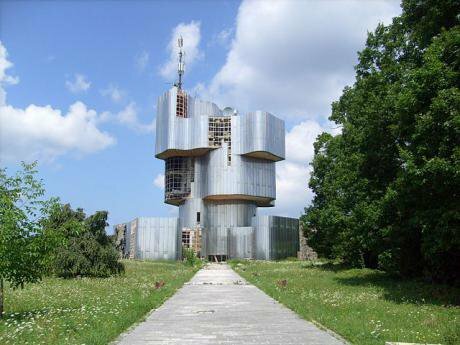 When in summer 2018 the Museum of Modern Arts (MoMA) in New York opened a much awaited and acclaimed exhibition under the title Toward a Concrete Utopia: Architecture in Yugoslavia, 1948-1980, this “alien” civilisation suddenly once again became introduced to the world. It turned out that the mysterious “alien art” was not coming from outer space, but that, this whole time, the alien had been dwelling among us – it was called the Socialist Federative Republic of Yugoslavia. However, even if MoMA provided a convincing name for these strange, extraterrestial objects (calling it a “concrete utopia”, which can mean both “concrete” as the material used to build the monuments and “concrete” as “real existing” utopia), the true question is not so much “Who… built such monuments?”, but much more “Why… did they build them?” And, moreover, a question which hopefully brings with it some insights for our current predicament: is socialist Yugoslavia (with its architecture, but also its political, social and economic system) really something to be regarded as “alien” today? Is socialist Yugoslavia (with its architecture, but also its political, social and economic system) really something to be regarded as “alien” today? According to one estimate, in Croatia alone more than 3,000 of these “alien” monuments, from memorial signs to sculptures and buildings were destroyed during the first years of the war of the 1990s that would mark the final dissolution of socialist Yugoslavia. Namely, in order to create a new (nation-state) future, you needed to destroy the past. Or as George Orwell famously put it, he who controls the past controls the future – he who controls the present controls the past. This is why the new monumental historiographical biography about Josip Broz Tito, written after 30 years of extensive research by the Slovenian historian Jože Pirjevec and published in English – in the author's own careful translation – under the title Tito and His Comrades is so important today. Although substantial amount of published historiographical work about Tito and the main protagonists of socialist Yugoslavia exist in the Yugoslav languages, this is the first time that a documented biography based on decades of extensive research of numerous sources in American, Russian, Serbian and even DDR archives, including dispatches from ambassadors and reports by Eastern and Western intelligence, as well as comments by Yugoslav politicans and world leaders, is published in English. When it was published for the first time, in 2011, in Slovenia, it immediately became a bestseller: an initial 5,000 copies of the first edition soon turned into 25,000 in a country of only 2 million inhabitants. Its German translation, published in 2016, sold over one million copies. There is obviously a long-lasting fascination with the character of Josip Broz Tito. To this day, Yugoslav partisan movies are still broadcast on Chinese TV channels; children and streets in China are named after the characters from the film “Walter defends Sarajevo” (1972), and there is even a beer brand “Walter”. The recent docu-fiction Houston: We Have a Problem! (Žiga Virc, 2016), about Yugoslavia's clandestine space program, and Cinema Komunisto (Mila Turajlić, 2012), about the rise and fall of Yugoslavia's cinematography and Tito's personal love of the cinema, add to the growing current interest in Tito. At the same time, a recurring sentiment ever since the collapse of Yugoslavia alongside the nationalism, in Slovenia, Serbia, Croatia, Bosnia and Herzegovina, Montenegro and Macedonia, is a sort of nostalgia toward “ the good old Yugoslav times” that prompted the Slovenian sociologist Mitja Velikonja – in his book Titostalgia – A Study of Nostalgia for Josip Broz published in 2008 – to coin a neologism “Titostalgia”. It describes a specific sort of nostalgia, which is part of the more general “Yugonostalgia”, but more concrete and directly connected to the Yugoslav leader Tito. 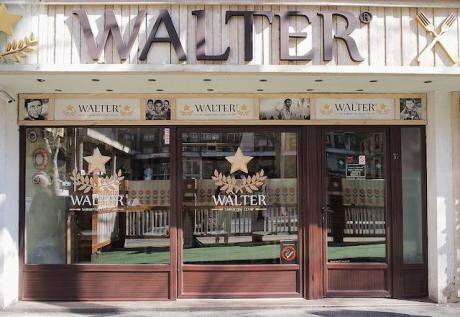 Restaurant Walter after movie "Walter defends Sarajevo" in Belgrade, Serbia, 2017. Wikicommons/Petar Milošević. Some rights returned.The Yugoslavia or Tito of nostalgic discourse, of course, never existed: these are Utopian simulations, a dreamland purified of all weakness and mistakes. Jože Pirjevec's biography entitled Tito and His Comrades is the exact opposite to that, as it explores and presents Tito (and Yugoslavia) with all his weaknessess and mistakes. As the title itself implies, it is not so much a biography as a book about the innermost circle of Tito, “the comrades” – referring to Tito's friends from Partisan times, with whom he built Yugoslavia: the theoretican and “last socialist Utopist of Europe” Edvard Kardelj, founder of the Yugoslav secret service, the politician Aleksandar Ranković, writer and dissident Milovan Đilas, and many others. To really understand Tito and his times, we must first understand the times of the Austro-Hungarian monarchy prior to the outbreak of the Second World War. Josip Broz was born on May 7, 1892 in the small Croatian village of Kumrovec, then under the rule of the Habsburg Monarchy. He grew up in appalling living conditions, in a family “blessed” with 15 children, 8 of whom died at a tender age. This was still the time when at least 80% of the population lived in the countryside in conditions of utter poverty and prevailing illiteracy. Although young Josip's initial plan was to become a tailor (as already at an early age he liked elegant clothes), but circumstance forced him to work as a blacksmith who would soon join the metallurgic trade union. In autumn 1913, at the age of 21, Tito was drafted into the Austro-Hungarian army, where he would become attracted to the idea of an independent Yugoslavia capable of uniting South Slavs in a single political entity. When the First World War broke out at the end of July 1914, Tito was sent to the Serbian front and later participated in the heavy fighting against the Russians in Eastern Galaicia, to which he was transferred in February 1915 and where he would become one of the 2 million Austro-Hungarian prisoners scattered throughout the far-flug territory of that Tsarist empire. It was at this time that a new chapter, as Pirjevec calls it, in the life of Josip Broz would start. When the disorder following the February Revolution of 1917 was unleashed, he was in Petrograd. There he would have the chance to hear Lenin speaking at a rally, whose photo and bronze bust were all his life to adorn his Belgrade office; and here it was that he received news of the creation of the Kingdom of Serbs, Croats and Slovenes after the collapse of the Habsburg Monarchy. When the disorder following the February Revolution of 1917 was unleashed, he was in Petrograd. Although a separate book could be written just about Tito's political activism before the outbreak of the Second World War, Pirjevec successfully outlines this formative period, that is the political subjectivation of young Broz, who would soon, upon his return to the country, become one of the main organizers and leaders of the (banned) Yugoslav Communist Party. In the early 1930s, young Broz who was operating under the code-name “Walter”, ended up in Moscow, where he did everything in his power to save as many Yugoslav emigrés in danger of becoming victims of the Great Terror. Soon he would enroll volunteers in Yugoslavia to fight Franco and the fascists in the Spanish Civil War. 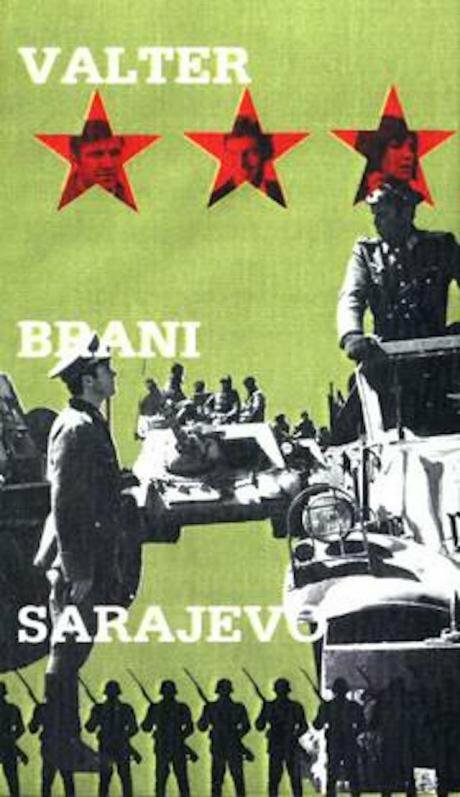 During the Second World War, as Pirjevec notes, no communist party had as many “Spaniards” in its ranks and it was precisely these experienced fighters of the International Brigades that would later take the lead in the Partisan liberation struggle. When the Second World War began on September 1, 1939, with the Nazi occupation of Poland, Tito and his comrades realized – inspired by the Spanish guerilla war, but also the history of the First World War and the October Revolution – that the probable impending attack of the Axis against Yugoslavia would be the ideal occasion to light the spark of a popular uprising. And they were right. When Germany and Italy occupied Yugoslavia, the Croatian Ustasha movement made a deal with the Führer and established a fascist puppet-state of so called “Independent Croatia”, while the Serbian Chetniks waited for the “right moment” for the uprising and soon became collaborators themselves. In this situation, the Yugoslav Partisans relied on the existing organisation of the Yugoslav Communist Party to create a popular front and lead the antifascist struggle. While the British chose the Chetniks as their allies, no one paid much attention to the Partisans, not even the Soviet government, which was incapable of sympathizing with a clearly revolutionary situation at the time when Nazi troops were approaching Moscow. However, Tito wasn't a Moscow man and in fact Moscow didn't send any arms to support the Partisan struggle until the very end. Only thanks to William Deakin and Fitzroy Maclean, who reported back directly to Winston Churchill, did the British finally stop supporting the Chetniks, making the Yugoslav Partisans one of their key allies in the liberation of occupied Europe. This was 1944 and after a period of a long guerilla war with heavy causalties, the leadership of the Partisan struggle took refuge at the remote Adriatic island of Vis, today better known as the film-set for the imaginary Greek island in Mamma Mia 2. This was the moment when the epicentre of the Partisan struggle passed into the field of foreign policy and when Tito managed not only to directly intervene in the global political situation, but also to co-write it. What Pirjevec does succeed in showing is that Tito's break with Stalin in 1948 wasn't a sudden event, but a long process, founded in the period prior to the Second World War and during the Partisan struggle of the 1940s. 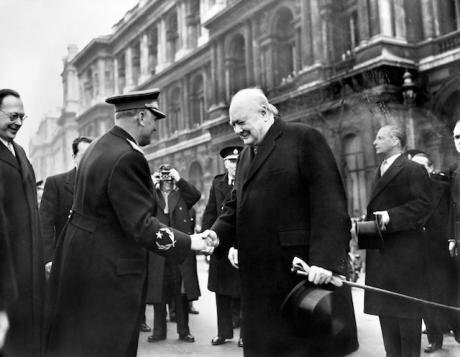 Marshall Josip Broz Tito, President of Yugoslavia, shakes hands with Prime Minister Winston Churchill in March, 1953.Barratts/Press Association. All rights reserved.Unlike most of the Yugoslav biographies of Tito before his death which glorify the glorious leader, what Pirjevec depicts is the extragavant counterpart who started to emerge during the earliest foundations of socialist Yugoslava. Before the war, Tito and his friends did not hunt, but after the war it became an obsession and an opportunity for “comrades” to reinforce their bond as part of the ruling elite – a ritual, with rigid rules, each member of the nomenklatura knowing exactly when and what he or she could shoot, according to their status. Only Tito could hunt as he pleased. 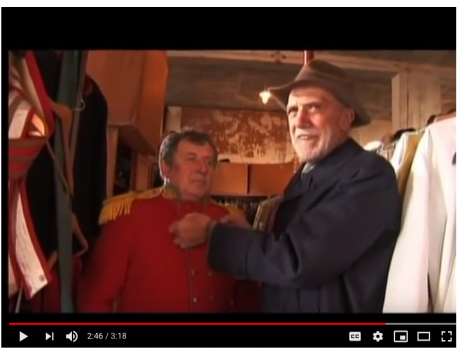 Josip Broz, who always wanted to be a tailor, now became so fascinated with uniforms and the iconography of leadership that he changed his clothes three or four times a day, and sunbathed regularly to preserve his tan. Already in 1947, he would soon establish his residence on the Istrian island of Brijuni, where he would build a private zoo for exotic animals and invite guests that included Orson Welles, Sophia Loren, Gina Lollobrigida, Elizabeth Taylor, Richard Burton and many others. Pirjevec reveals that Tito cost the state much more than King Aleksandar, who had the most expensive civil list in the world aside from the emperor of Japan. In short: Tito loved luxury. Another aspect of the multi-dimensional Tito depicted by Jože Pirjevec are the communist crimes committed just after the end of the Second World War, with Bleiburg (where thousands of collaborators were shot or forced on “death marches”) or the early purges and establishment of the notorious Goli Otok (“naked island”), the concentration-camp for Stalinists. Much before the “return of the repressed” which – not so much in terms of nationalism, but of political economy – would arrive in the guise of bloody disintegration in the 1990s, Yugoslavia had rapidly risen from a poverty-stricken agricultural land to a modern society with rising living standards, consumer goods, freedom of movement, subcultures and art (from architecture, to music and cinema). Above all, Tito's foreign policy was succesful. In a tightrope walk he managed the unimagineable: to establish a third camp between the warring blocs of United States and the Soviet Union. With the foundation of the Non-Aligned Movement, Tito became one of the leading statesmen of the twentieth century. As Pirjevec shows in an extraordinary recapitulation of Yugoslavia's geopolitical invention and achievement, Tito was the first white leader who had come to the African and Asian countries as to equals, approaching them without paternalism and without sparing criticism for the colonial powers. Pirjevec also reveals some rather hitherto unkown facts, such as for instance the time Tito smuggled a load of arms and munitions on his legendary boat Galeb for the Algerian Liberation Front. The main principles of the Non-Aligned Movement, such as peaceful co-existence and mutual respect for each other's territorial integrity and sovereignty, together with the main assertion that, beyond ideologies, the gap between the developed North and the underdeveloped South was the worst danger to world peace, remain pertinent in today's times of nuclear tensions and in the context of what the Polish-American diplomat Zbigniew Brzezinski, just prior to his death in 2017, called the new “global realignment”. At the same time, with Yugoslavia's rise as a geopolitical power in the twentieth century, the Yugoslav communists undertook a profound internal revolution, namely the project of self-management. Even if the origin of the very idea was merely a plan to save the Yugoslav Partisans, who had just acquired power after a devastating and long war, from the trap of Stalinism. Even if all its insufficiencies would ultimately lead to a new nonemklatura instead of the intended self-organised worker's councils – the project of self-management was a truly original attempt to base the economy on co-operation and direct democracy. The problems, however, ran deep. On one hand, Yugoslavia's early integration in the global capitalist market (as shown by Susan Woodward's in her influental book Socialist Unemployment: The Political Economy of Yugoslavia, 1945-1990) would eventually lead to the development of a “free market” economy, while on the other, the disproportional development of different Yugoslav republics caused a division between centre and periphery inside its very borders (for instance, in 1953 Slovenia was three times more economically developed than Kosovo: by 1989 it was eight times more developed). However, as Pirjevec shows, in the decades following the war, Yugoslav society underwent radical change: in 1946 there were no more than 642,000 workers and employees, with 80 percent of the population comprised of peasants, half of them illiterate. At the end of the sixties, after various economic reforms, those who worked in industry and in the tertiary sector were 4 million strong, and peasants had shrunk to 50 percent of the population. The number of students jumped in the same period from 16,000 to 200,000. In short, the socialist modernization radically transformed the country and its society. How did this all go wrong? According to Jože Pirjevec, the end of sixties, with the student revolt in 1968 in Belgrade and the requests for further democratisation of a monolithic one-party system by the so called Serbian liberals, as well as the “Croatian Spring” in the early 1970's and subsequent rising nationalism across all Yugoslav republics, were the crucial years in which the future of Yugoslavia could have taken a different path. That's when Tito rid himself of a new generation of reformers who, according to the author, could have been Yugoslavia's last chance. So when Yugoslavia's prestige and economic development was at its peak, the country was already in disarray. The party quarrelled, the slogan “brotherhood and unity”turned into an empty shell, and instead of more democratisation, the 1970s saw an increase in Tito's cult of personality precisely at a time when his death became imminent. Recent scholarship about Yugoslavia based on in-depth historical research or critical theory, most notably Darko Suvin's Splendour, misery and posssibilities: an X-ray of socialist Yugoslavia (2016) Boris Buden's Zone des Ürbergangs – Vom Ende des Postkommunismus (Suhrkamp, 2009) and Vladimir Unkovski-Korica's The Economic Struggle for Power in Tito's Yugoslavia. From World War II to Non-Alignment (2016), however, dispute the point that the origin of the dissolution of Yugoslavia should be traced back to this period of the 1970s. In short, the problem of Yugoslavia was not the lack of capitalism, but on the contrary – too much of it. According to these authors, the dissolution had already begun in the period of the 1950s and 1960s, not so much because of nationalism, but because of the political economy, because of the incapacity of Tito and his comrades to fix the internal and external contradictions of their socialist self-management project. In short, the problem of Yugoslavia was not the lack of capitalism, but on the contrary – too much of it. Nationalism, and this is a conclusion shared by both Suvin, Buden and Unkovski-Korica, didn't come out of nowehere, nor it was the sole cause for the country's dissolution. But it was the many contradictions and unresolved challenges of Yugoslavia's political economy which created the fertile ground for rising nationalism. Current renewed interest in the legacy of Josip Broz Tito and socialist Yugoslavia, with the success of the MoMA 2018 exhibition about socialist architecture, recent movies about Tito, or the unexpected popularity of Jože Pirjevec's lengthy biography, especially in Slovenia and Germany (the Chinese translation is yet to come), can therefore be explained, not so much by the fact that Yugoslav socialism, with all its weaknes and mistakes, is a better system than today's post-socialist desert. It has much more to do with the future itself. Screenshot: Cinema Komunisto trailer – a costume that has appeared in 20 films. YouTube. Today, it is no longer just the Balkans which (often in an orientalist manner) could be described as the “dark heart” of Europe (or as Maria Todorova called it, the “Imaginary Balkans”), but it is Europe itself which is turning dark. On the one hand, Europe is already ruled by powerful financial institutions, banks and corporations which know no borders. The countries on the periphery of Europe, such as Greece, Spain or Croatia, were the first victims of this “shock therapy”. But now the boomerang is coming back to its centre (UK, France, Germany) with new labour laws and market deregulation, including the privatization of health-care, education, public spaces. On the other hand, all across Europe – and the world – we are witnessing either a rise of extremist and populist movements (from Germany’s Alternative für Deutschland to Marine Le Pen’s France), or a shift to the radical right and xenophobic governments (Italy, Austria), or semi-authoritarian states with new anti-immigrant laws and re-drafted constitutions (Hungary, Poland). New borders and walls are being erected throughout Europe on a daily basis, while the EU is sending the army to its outer borders (Croatia and Albania, but also Mediterranean countries such as Libya or Turkey where the refugee problem is currently being “out-sourced”). On top of this, in June 2018 the hardline interior ministers of Austria, Germany and Italy have formed, as the Austrian Chancellor Sebastian Kurz himself called it, an “Axis of the willing” to combat illegal immigration into the EU. The analogy and the choice of words, coincidentally or not, carry much darker historical undertones, as a previous “Axis” between precisely those three countries actually occupied Europe in WWII with dire consequences for the whole continent and its peoples. The question which might serve as a potential way out of our current deadlock is the question we have to pose after reading Jože Pirjevec's timely Tito and His Comrades: what is the lesson of the historical sequence of socialist Yugoslavia and its disintegration for our own dystopian moment, when “presentism” (the drowning in an instant or fake news and the addiction to social networks) and historical revisionism (the process of rewriting history and turning Nazism and Fascism into a legitimate discourse and reality in the twenty-first century) are not only capturing all our memories but also dissolving our hopes in the future as such, in the post-Thatcher era of “There is no alternative” ? Was Yugoslavia really such an “alien”, or is it the current decay of capitalism (with the reappearence of fascism) that should be considered the true Alien and thrown into the dustbin of history, once and forever? Valter Brani Sarajevo film poster.